The sooner you start using Advanced Silver the sooner you can feel the difference. Due to FDA regulations, we can't tell you if colloidal silver will cure your health condition, or how to cure disease, but health experts confirm silver is useful for many health conditions. Before 1999, silver was available "over-the-counter" in a variety of products, and has a long history as an antibacterial, antiviral, antifungal, antiparasitic, a water purifier, and more. Today, silver is still available in many FDA-approved burn & wound care products, and is even used on various surfaces in hospitals for its antimicrobial effect. See *Third-Party Research for more on colloidal silver. Nano silver is composed of extremely small pieces of material typically measuring between 1 and 100 nanometers. Many smaller pieces of a material are able to collectively provide more surface area exposure to that material. This is why smaller particle size is better for colloidal silver, and why ionic colloidal silver is best. Advanced Silver's nanoparticles are available in dropper bottle, spray bottle, and larger refill sizes, and 100% safe when used as directed (EPA). What do "Health Experts" say about Silver? For more information about the benefits of using an ionic colloidal silver, see *Third-Party Research and What's Silver Used For? 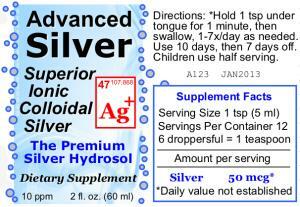 Also, see Advanced Silver's Ionic colloidal silver dosage, which is based on the current EPA RFD. Advanced Silver's colloidal silver ion products are available in 2oz, 4oz, 8oz, 16oz, 32oz, and 1 Gallon sizes, and a colloidal silver spray. 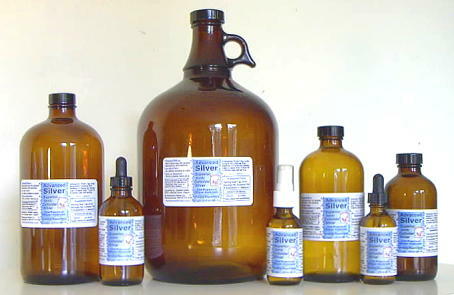 Purchase colloidal silver today! * These statements have not been evaluted by the Food & Drug Administration. Advanced Silver Companyproducts are not intended to diagnose, treat, cure or prevent any disease. 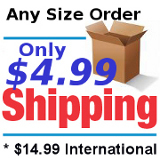 Buying colloidal silver directly from AdvancedSilver.com saves you money.